Mike Riley is out as Nebraska’s head football coach after his third season in Lincoln, the program announced Saturday. This comes after the Huskers lost 56-14 to Iowa on Black Friday. 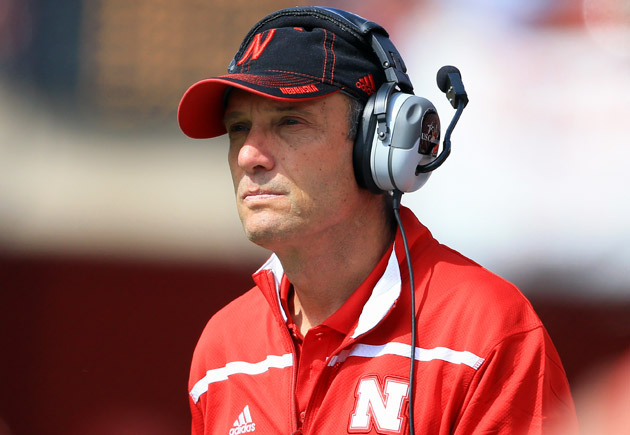 Mike Riley coached 3 seasons in which Cornhuskers went 19-19, including 4-8 this year. Moos noted that Nebraska will “move quickly” in its coaching search and that assistant Trent Bray will serve as the Huskers’ interim head coach. Riley’s tenure ends after a season filled with heavy speculation, with the coach appearing on hot seat lists around the internet from the moment the season started. His team finished 4-8 in 2017, with a 21-17 loss to Northern Illinois in Week 3 causing an uproar among the fanbase. His athletic director, Shawn Eichorst, was fired five days later ostensibly for the football team’s on-field performance. In came Bill Moos from Washington State, and Nebraska kept losing. Reports connecting Nebraska with UCF coach and Huskers alum Scott Frost drove the final nail into the coffin as the season neared its end. Bleacher Report’s Lars Anderson reported a 7-year, $35 million deal between the two was “close,” last week, then reported Friday night that Frost to Nebraska was a “done deal.” Huskers.com has yet to confirm any hiring.